Gayton01553 763044work VillageThe village of Gayton is 7 miles east of King’s Lynn. It is a thriving village in West Norfolk at the centre of the Gayton Group of Parishes with the smaller village of Gayton Thorpe nearby. There is one pub in the village, The Crown. The village also has two butcher's shops, a child care/daycare centre, a hair salon, a fish and chip shop and petrol station combining convenience shop/post office. At the heart of the village St Nicholas’ Church, is an impressively large church predominantly of the 14th century although probably on the site of a previous structure. The Gaywood River has its source just north of the village at Derby Fen. At the eastern end of the village is an impressive tower mill with a castellated top. Gayton Hall, a beautiful building and estate on the south of the village, is the home of Lord and Lady Romney. 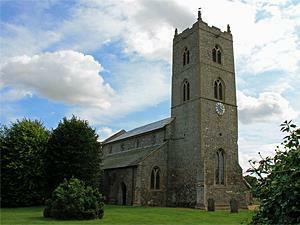 The village of Gayton is 7 miles east of King’s Lynn. It is a thriving village in West Norfolk at the centre of the Gayton Group of Parishes with the smaller village of Gayton Thorpe nearby. There is one pub in the village, The Crown. The village also has two butcher's shops, a child care/daycare centre, a hair salon, a fish and chip shop and petrol station combining convenience shop/post office. At the heart of the village St Nicholas’ Church, is an impressively large church predominantly of the 14th century although probably on the site of a previous structure. Gayton is centrally located for exploring West Norfolk with King’s Lynn, Hunstanton and the coast all easily accessible.